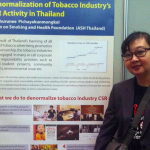 Bangkok: The Vietnam Tobacco Control Fund team paid a study visit to Thai Health Promotion Foundation last 15-16 December, 2014. 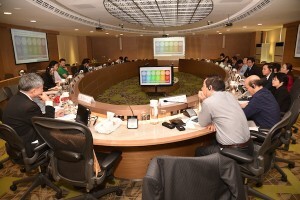 The study visit was organized by the South East Asia Tobacco Control Alliance (SEATCA) and Thai Health Promotion Foundation (ThaiHealth) in collaboration with the Vietnam Tobacco Control Fund. The objectives of the study visit was to share the experiences and lesson learned in impact and major achievements of ThaiHealth after its establishment, to share the establishment and way forwards of Vietnam Tobacco Control Fund, and to have future collaboration. 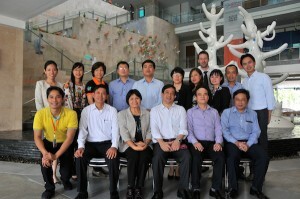 13 leaders and members of the different boards of Vietnam Tobacco Control Fund lead by Assoc. 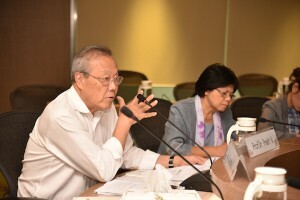 Prof. Luong Ngoc Khue, participated the study visit. Dr. Krissada Raungarreerat, the Chief Executive Officer of ThaiHealth, and Ms. Bungon Rithiphakdee, Executive Director of SEATCA warmly welcome the participants. 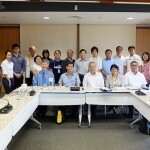 Experts from ASH Thailand, WHO Western Pacific Region, SEATCA participated and provided technical support during the visit. ThaiHealth shared its extensive experiences on strategic plans, granting procedures, risk management and monitoring and evaluation. 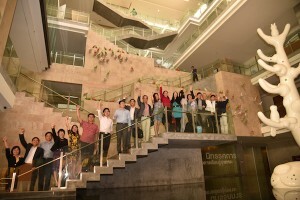 The participants were also able to make a tour of ThaiHealth office and experienced the different areas of ThaiHealth’s works over the decade. 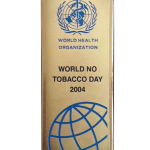 They also learned the tobacco control in Thailand in general and ThaiHealth’s plan on tobacco control. SEATCA shared its regional as well as country experiences on sustainable funding and tobacco control. The participants were informed of the International Network of Health Promotion Foundations (INHPF) for networking and sharing experiences amongst similar organizations. 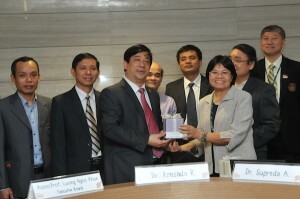 Vietnam Tobacco Control Fund also shared its establishment, plans and experiences during the past year. 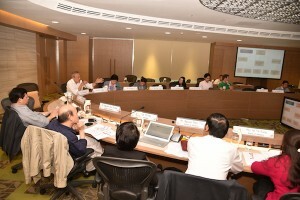 With active participation of the participants, there were fruitful discussions during the two-day visit and the future collaboration were also discussed and identified. A set of recommendations was provided by SEATCA for the Vietnam Tobacco Control Fund and the meeting was closed successfully.